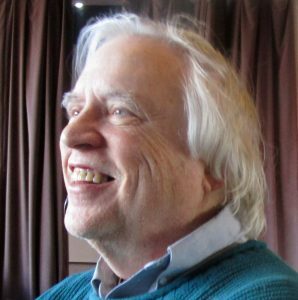 George Hovis (Cooperstown, NY) has recently published stories and essays in The Carolina Quarterly, The Fourth River, The North Carolina Literary Review, Stone Canoe, and elsewhere. His short fiction has been nominated for a Pushcart Prize and is a prize winner in the national contest Wake, and Dream Again. 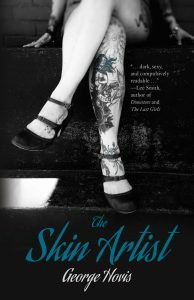 His debut novel, The Skin Artist, will be published in May 2019 by SFK Press. 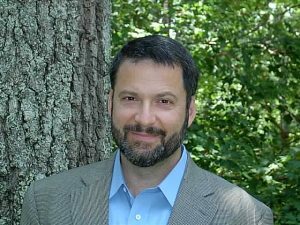 He lives in Cooperstown, New York, with his wife and two children and is professor of English at SUNY Oneonta. 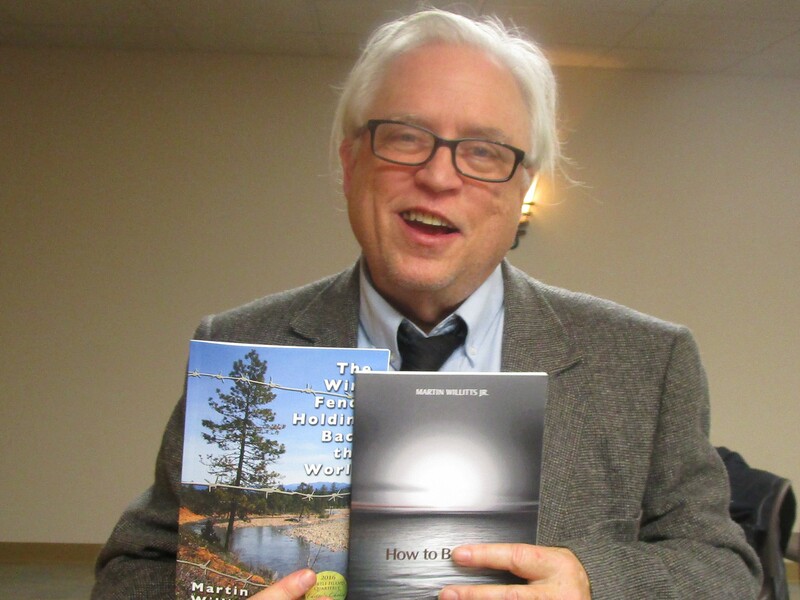 Martin Willitts Jr is a retired Librarian living in Syracuse, New York. He is a visual artist of Victorian and Chinese paper cutouts. He was nominated for 15 Pushcart and 13 Best of the Net awards. He provided his hands-on workshop “How to Make Origami Haiku Jumping Frogs” at the 2012 Massachusetts Poetry Festival and the 2015 Amherst Poetry Festival.Winner of the 2012 Big River Poetry Review’s William K. Hathaway Award ; 2013 Bill Holm Witness Poetry Contest; 2013 “Trees” Poetry Contest; 2014 Broadsided award; 2014 Dylan Thomas International Poetry Contest; Rattle Ekphrastic Challenge, June 2015, Editor’s Choice; Rattle Ekphrastic Challenge, Artist’s Choice, November 2016,Stephen A. DiBiase Poetry Prize, 2018. He won three Central New York Individual Artist Award and provided “Poetry On The Bus” which had 48 poems in local buses including 20 bi-lingual poems from 7 different languages. He is a judge for the New York State Fair Poetry Contest, and he is an editor for the Comstock Review. His 23 chapbooks include “Falling In and Out of Love” (Pudding House Publications, 2005), “Lowering Nets of Light” (Pudding House Publications, 2007), “The Garden of French Horns” (Pudding House Publications, 2008), “Baskets of Tomorrow” (Flutter Press, 2009), “The Girl Who Sang Forth Horses” (Pudding House Publications, 2010), “Van Gogh’s Sunflowers for Cezanne” (Finishing Line Press, 2010), “Why Women Are A Ribbon Around A Bomb” (Last Automat, 2011), “Protest, Petition, Write, Speak: Matilda Joslyn Gage Poems” (Matilda Joslyn Gage Foundation, 2011), “Secrets No One Wants To Talk About” (Dos Madres Press, 2011), “How to Find Peace” (Kattywompus Press, 2012), “Playing The Pauses In The Absence Of Stars” (Main Street Rag, 2012), “No Special Favors” (Green Fuse Press, 2012), “The Constellations of Memory and Forgiveness” (Seven Circles Press, web book, 2014), “A Is For Aorta” (Kind of Hurricane Press, e-book, 2014), national chapbook contest winning “William Blake, Not Blessed Angel But Restless Man” (Red Ochre Press, 2014), “Swimming in the Ladle of Stars” (Kattywompus Press,2014),“City Of Tents” (Crisis Chronicles Press, 2014), “The Way Things Used To Be” (Writing Knights Press, 2014), “Late All Night Sessions with Charlie “the Bird” Parker and the Members of Birdland, in Take-Three” (A Kind Of a Hurricane Press, 2015), “The Burnt-Over District” (e-book, Icarus Books, 2015), and “Martin Willitts Jr Greatest Hits” (Kattywompus Press, 2016), Turtle Island Editor’s Choice Award for his chapbook, “The Wire Fence Holding Back the World” (Flowstone Press, 2016), “Nasturtiums in Snow Understand Green Is Coming” (Foothills Press, 2018), You Enter, and it All Falls Apart (Flutter Press, 2019). His 14 full-length books include “The Secret Language of the Universe” (March Street Press, 2006), “The Hummingbird” (March Street Press, 2009), “The Heart Knows, Simply, What It Needs: Poems based on Emily Dickinson, her life and poetry” (Aldrich Press, 2012), “Art is an Impression of What an Artist Sees” (Edgar and Lenore Publishing House, 2013), national ecological award winner for “Searching for What You Cannot See” (Hiraeth Press, 2013), “Before Anything, There Was Mystery” (Flutter Press, 2014), “Irises, the Lightning Conductor For Van Gogh’s Illness” (Aldrich Press, 2014), “God Is Not Amused with What You Are Doing in Her Name” (Aldrich Press, 2015), “How to Be Silent” (FutureCycle Press, 2016), “Dylan Thomas and the Writer’s Shed” (FutureCycle Press, 2017), “Three Ages of Women” (Deerbrook Editions, 2017), “The Uncertain Lover” (Dos Madres Press, 2018),“News from the Slow Country” (Aldrich Press, 2019), and “Home Coming Celebration” (FutureCycle Press, 2019).